We don't stop at providing pos systems. We help customers find the right merchant processing company for fully integrated payment processing solutions highly secured with beyond industry standards. With this additional offerrings, our clients can achieve better shopping experiences as well as overal savings from payment processing cost. 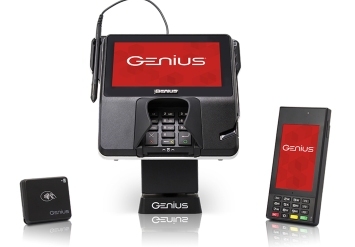 POS Unlimited partners with industry leading companies such as Vantiv Integrated Payment (formerly Mercury Payment System) for credit, debit, EBT, and gift card processing solutions with EMV certified terminals. • Integrated payment processing with your POS system eliminates errors from manual entries on non-integrated stand alone terminals. 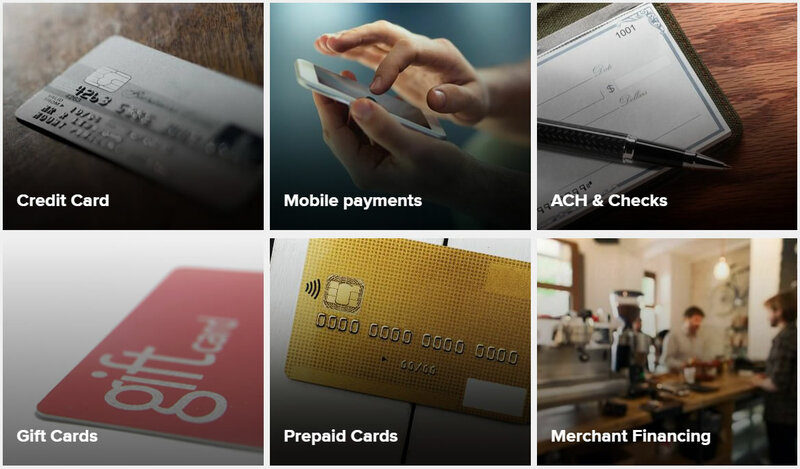 • All payment types including credit, debit, EBT, gift cards, mobile payment including ApplePay, Google Pay and Samsung Pay...etc.. Integrated payment solution provides complete processing capabilities for all major credit, debit, gift cards, and purchasing cards. Our partners process billions of transactions a year, authorize the transactions in seconds, and then direct the information to the appropriate card network for payment. POS Unlimited only works most reliable networks in the industry, you can be assured of quick connections and continuous service. • Generate a statement according to whatever timeframe you choose. Our Gift Card program is a great way to increase your sales and create marketing opportunities for your business. You can jump into standard pre-designed gift card program or you can design your own gift cards with Custom Gift Card Program. Just choose a program and fill out an application. 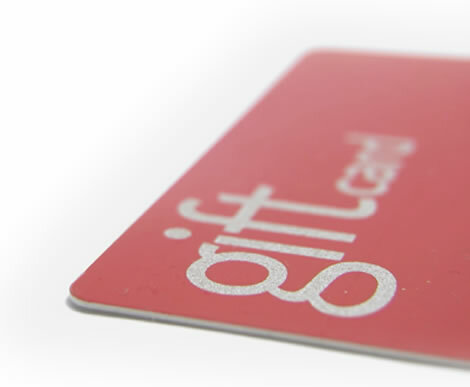 Some of our partners provides gift card processing at no cost. Contact us for more details. Chip cards, also known as “smart cards,” are credit or debit cards that have sensitive cardholder information embedded in a data chip in the card, as opposed to traditional credit cards where the data is only stored in the magstripe on the back of the card. While the two types of cards may look the same, the way that the data is accessed to process a payment transaction is very different. Traditional credit cards are swiped through a magstripe reader, or credit card terminal in order to perform a transaction. Chip cards can be swiped too, but have extra security advantages when processed via EMV chip readers instead. EMV chip cards help prevent in-store fraud and are nearly impossible to counterfeit. EMV technology increases cardholder security and chip card technology is becoming the global standard for both credit and debit card payments. To increase the adoption of chip technology, Visa, MasterCard, Discover and American Express will implement a liability shift for domestic and cross-border counterfeit transactions effective October 1, 2015. Once the shift goes into effect, merchants who have not made the investment in chip-enabled acceptance technology may be held financially liable for in-store fraud that could have been prevented with the use of a chip-enabled acceptance device. Vantiv Integrated Payments makes it simple for you to meet the new EMV standards using your POS system. If you want to avoid the fraud liability after October 2015, you’ll most likely need to implement an EMV capable card reader that can interface properly with your POS system and its software. If your POS system is incompatible with EMV technology, you may need to upgrade your software and hardware. Please contact us to discuss the next steps to take. Who is POS Unlimited? Why count on us? Click here to know more about us. Today’s retail environment faces many challenges. Constant advancements are necessary, not only to survive in today’s world, but to progressively grow stronger and move ahead of the competition. POS Unlimited is the leading provider of business management solutions for small to mid-sized businesses within the retail and hospitality industries. We combine your needs with our up-to-the-minute technology to streamline your business’ activities, allowing it to thrive even in the toughest retail environments. Being a focused Point Of Sale solutions provider allows us to provide all components necessary to cover every aspect of your business needs.